Before filtering the tournament players, select which items that you want to appear in the report. Available options include: Photo, gender, age, T-shirt size, country, state / province, home club or venue, city, address, zip code, phone, email, email opt out status, divisions entered, and skill level. Filter options include: first and last name, start and end age, start and end birthday, phone, email, email opt in status, city, state, country, zip, gender, home club, and divisions entered. Events integrated with the R2sports online member management system have additional reporting options which include: membership type, number, issued date, expiration date, and associated user groups. The membership number can be used in the filtering as well. Once all filter and reporting options are selected, find a tournament player by clicking the search event users link. Some of the column headers in the tournament player report are linked and will reorder the report. Clicking on the same column header again will reverse the order. 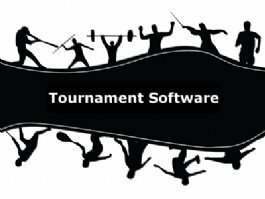 Reports of the tournament players can be viewed on the screen, printed, or exported to an excel file format.